Ten years ago, Peter Pan left Neverland to grow up, leaving behind his adolescent dreams of boyhood and resigning himself to life as Wendy Darling. Growing up, however, has only made him realize how inescapable his identity as a man is. But when he returns to Neverland, everything has changed: the Lost Boys have become men, and the war games they once played are now real and deadly. Even more shocking is the attraction Peter never knew he could feel for his old rival, Captain Hook—and the realization that he no longer knows which of them is the real villain. So what I was expecting...well, I'm still not sure. What I got was a retelling of a childhood story that to be quite honest was never really a favorite of mine. As a child I just never connected with Peter...I'm don't really know why...it could be as simple as he was a boy and I'm a girl...who knows. Needless to say this also contributed to making 'Peter Darling' a bit of a hard sell with me. But I was still curious after reading the blurb and then I started seeing all these awesome reviews being posted by my friends so I figured it was time to find out. 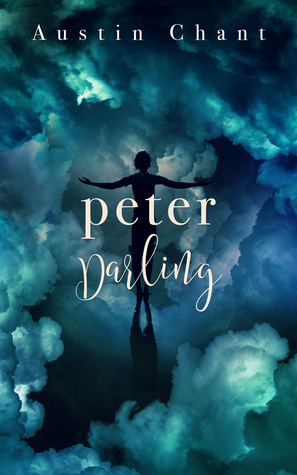 An ARC of 'Peter Darling' was graciously provided by the publisher via NetGalley in exchange for an honest review.